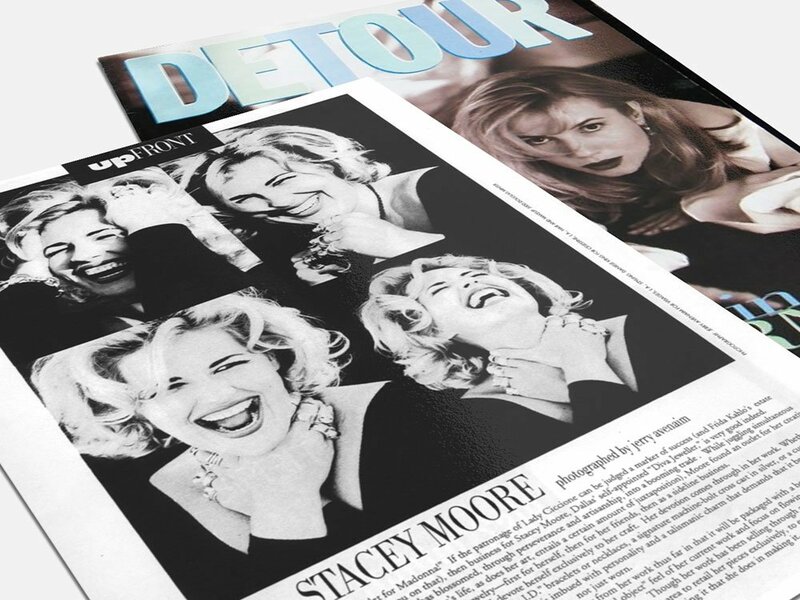 The article was made possible by my friend Luis Barajas when he was publisher of Detour. I was photographed by the exceptional Jerry Avenaim and my dear (and very talented!) friend Judd Minter did hair and makeup. The shoot took place on Jerry’s rooftop studio in Los Angeles. I still lived in Dallas at the time, but was in L.A. promoting my work. In the pictures, I am wearing several pieces from the Hardware collection. These beautiful photos remain my all time favorites.